General Kim Kyok Sik (Kim Kyok-sik) is a deceased senior military commander. He held a number of major military positions including two stints as Chief of the Korean People’s Army [KPA] General Staff and Minister of the People’s Armed Forces. Gen. Kim was also an alternate (candidate) member of Workers’ Party of Korea [WPK] Political Bureau, a member of the WPK Central Military Commission, a member of the Party Central Committee and a member of the National Defense Commission. From 2007 to 2009 Kim served as Chief of the KPA General Staff, from 2009-2011 served as commander of IV Army Corps, from 2011 to 2012 as Vice Minister and in 2013, successively, as Minister of the People’s Armed Forces. In May 2013 Gen. Kim was appointed Chief of the KPA General Staff, a position from which he was quietly dismissed in August 2013. General Kim is believed to have directed the firing of artillery shells in the West Sea near the Northern Limit Line in November 2009 and the firing of artillery on South Korean islands near the NLL on 23 November 2010. 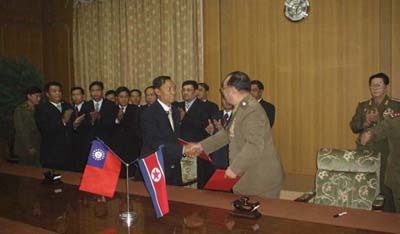 He was also observed participating in a Pyongyang military agreement signing ceremony with a military delegation from Myanmar in November 2008. Kim Kyok Sik was born in 1938. He studied at Kim Il Sung Military Academy. In the 1970s he served as a military attaché in Syria. Kim likely managed instructors and other training support for the ELF (in Ethiopia) and the Turkish Workers’ Party which the DPRK provided in the early 1970s, in coordination with Syria. 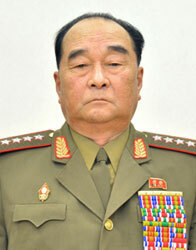 He returned to the DPRK in the early 1980s and served as a squad commander. He was elected a deputy to the 9th Supreme People’s Assembly in 1990. He was elected an alternate member of the CC KWP at its 18th plenum (6th Term/6th CC) in May 1990 and promoted to full membership at the 19th plenum in December 1991. Kim was promoted to Colonel General in 1992 and was a member of Kim Il Sung’s Funeral Committee in July 1994. Kim Kyok Siik was assigned command of II Army Corps in October 1994 where he served until 2007. He was promoted to General in 1997. In April 2007 Kim was appointed Chief of the KPA General Staff, replacing Kim Yong Chun. He served as chief of the GSD until February 2009, when he was replaced by Ri Yong Ho. Kim was assigned command of the IV Army Corps. However it is more likely he was assigned command of the Western Area (Region), given his rank and ties to the supreme command of the KPA. After his command assignment in February 2009, General Kim led drills near the NLL. He commanded the firing of artillery shells near the NLL in November 2009. Kim Kyok Sik’s Party Central Committee membership status was downgraded when his name appeared on a list of alternate (candidate) members on 28 September 2010. Gen. Kim participated in the KPA’s artillery shelling of Yonpyong Island on 23 November 2010. In August 2011 Kim migrated back to Pyongyang where he served as Vice Minister of the People’s Armed Forces in the MPAF. 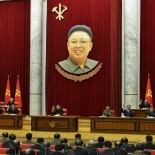 In November 2012 Gen. Kim was appointed Minister of the People’s Armed Forces. At the March 2013 KWP Central Committee meeting, Kim was elected an alternate member of the KWP Political Bureau and a full member of the Party Central Committee. Kim was a rostrum member at the 7th session of the 12th Supreme People’s Assembly on 1 April 2013 and was elected a member of the National Defense Commission. In May 2012, Kim Kyok Sik was removed from office as Minister of the People’s Armed Forces, seven months after his appointment. He made no observed public appearances for nearly three weeks. On 22 May 2013, DPRK state media identified Gen. Kim as Chief of the KPA General Staff, a position he previously held from 2007 to 2009. In August 2013, he entered a period of semi-retirement serving as Vice Chief of the KPA General Staff. Gen. Kim Kyok Sik passed away in May 2015.